Regular readers of this blog will remember many posts about Cousin Blanche. 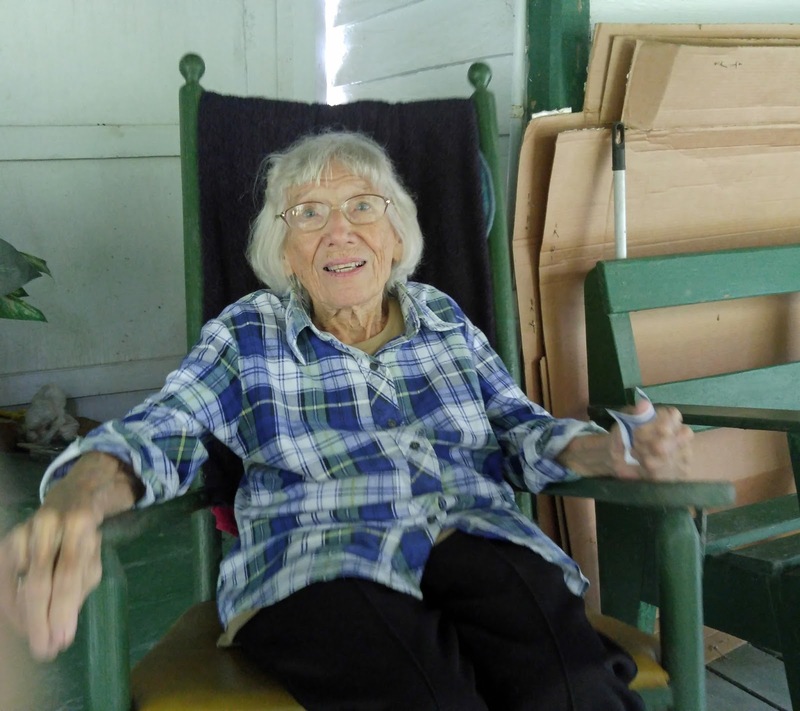 The Ocracoke community was saddened to learn that Blanche died this past Thursday. She was 98 years old. Blanche had a prodigious memory and a generous spirit. Many an afternoon and evening I walked across the lane to sit on her pizer or in her living room, listening to her sharing stories about days gone by. She told me stories about island churches, schoolhouses, general stores, post offices, and prominent islanders. Among so many other subjects, she recalled tales of shipwrecks, schooners, and the iron men who sailed them. 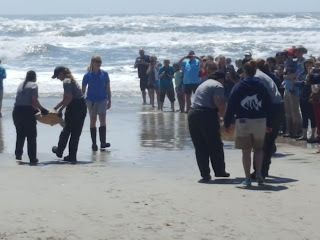 She remembered walking to the beach to view the 1925 wreck of the four-masted schooner, Victoria S.
In 2015 Blanche received the Ocracoke Cultural Heritage Award from the Ocracoke Preservation Society for her many contributions toward preserving the history, culture and traditions of Ocracoke Island. Several posts about Blanche that I published on this blog are available here. Farewell Blanche! We miss you. This month's Ocracoke Newsletter is the story of Ocracoke Lodge No. 194, Independent Order of Odd Fellows. You can read the Newsletter here: https://www.villagecraftsmen.com/island-inn-lodge-no-194-independent-order-odd-fellows/. Ocracoke Village comprises little more than 600 acres of buildable land, and about 950 residents. In spite of the small and circumscribed land mass and the tiny population, Ocracoke is home to more than eighty cemeteries. With only a few exceptions, the cemeteries are small and mostly serve individual families. Scattered throughout the village, most are located near historic home sites, and are generally enclosed by simple wooden fences. Many are clearly visible from village roads. One of the largest, the George Howard cemetery, contains about four dozen marked graves. The George Howard cemetery is not far from the British Cemetery, the final resting place of four sailors whose armed trawler was torpedoed offshore during World War II. 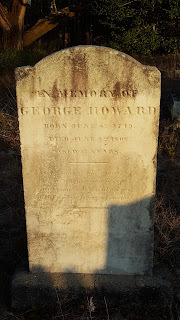 The oldest grave in the Howard cemetery is that of George Howard, son of William Howard, Sr., the island’s last colonial owner. George Howard died in 1806, and virtually everyone buried there is a descendant of his. More recent graves date into the twenty-first century. According to the unpublished autobiography of native Ocracoke islander, Frank Treat Fulcher (1878-1971), he was “born January 25, 1878, on Ocracoke Island, North Carolina.” His father was in the Life-Saving Service; his maternal grandfather was a merchant sea captain. He writes, “At ten years of age my mother let me sail with a friend of hers, a Mrs. Rose, who was captain and cook, her husband was mate, of the schooner Emiline and I was seaman third class.” Frank Treat “sailed to the various ports of Eastern Carolina” and quickly rose to the rank of seaman first class. He recounts rescuing the first mate, who seems to have had a habit of falling overboard, more than once. From the Emiline he moved on to the schooner Bessie where he learned both to cook and to “cuss a blue streak.” He was not yet eleven years old. By the time Frank Treat turned thirteen-years-old he had sailed aboard the schooner Robert F. Bratton which almost sank in the Atlantic Ocean on a trip from Charleston, South Carolina, to New Bern, North Carolina. 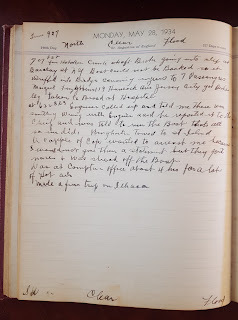 In his own words, “Frank Treat is now twelve years old and is a salty old seaman.” He met a Captain John Day and sailed on the Carrie Farson, and then Captain John Beverage who enticed him on board the “Unity R. Dyer, a two topmaster.” Frank Treat reported, “We were in several storms. Once we were blown off the coast in a hurricane. It took us fourteen days to sail back. We lost our deck load and we came near sinking from open seams in the deck. That was really the worst time I had ever seen.” In October of 1893 Frank Treat’s ship, the Davidson, “went ashore about three miles south of Cape Henry and was a total loss….I was pulled ashore through the breakers on a line,” he recounts. In 1896, when Frank was eighteen years old, he was quartermaster on the steamer, Neptune, which left Rotterdam for Baltimore, Maryland. He later became a Methodist preacher. "Perhaps we are the first to ever give the idea a thought and probably what helped was the announcement that a few more millions would be spent in creating certain facilities down in Onslow County for the training of 'parachute troops.' Our idea is this and we pass it on to Representative Herbert Bonner of the First District, who in turn, we hope, will lay the plan before the authorities that have to do with providing facilities for training modern day parachute troops. Our opinion is – that of all the places in America, there is no better place to train fledgling parachute jumpers than on the mile wide, five-mile long open stretch of beach land adjacent to Ocracoke village. The first and last parachutist we have ever seen in action was bailing out of a plane flying over that beach. His name was 'Tommy,' ...[and he] told the editor that it was easier and more comfortable to bail out of a plane over Ocracoke Beach than any other place he had ever tried. 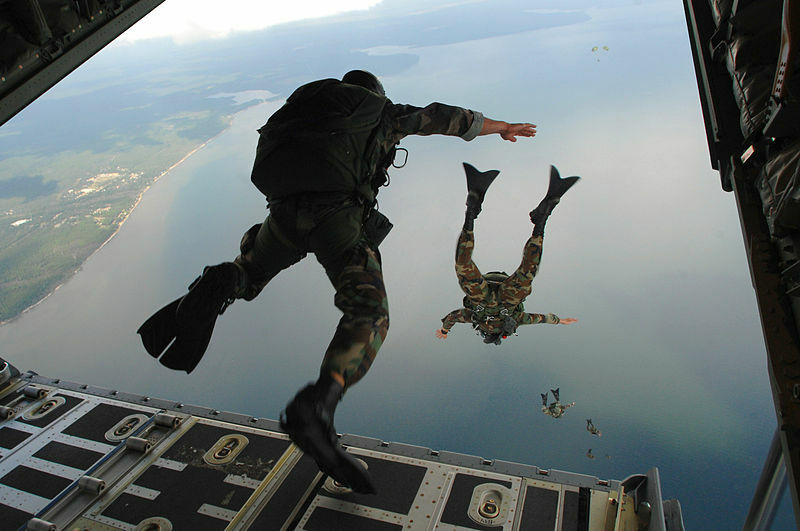 The landing, so he told the editor, was just like landing on a feather bed. That is because the beach, while solid enough to land any type of plane, has a two or three inch crust of soft sand on top. Unless there was a gale blowing, a rank amateur could bail out over Ocracoke Beach and make a perfect landing with a parachute. We wonder if the Government would not investigate this idea, with the thought in view that they have, if they want it, a first rate training center for fledgling parachutists on Ocracoke --- already developed." Although we don't see many parachutists at Ocracoke nowadays, we do see Ospreys now and then. These amazing vehicles, tiltrotor military aircraft with both vertical takeoff and landing, and short takeoff and landing capabilities, sometimes practice at the Ocracoke airstrip. Ocracoke Lodge No. 194, I.O.O.F. 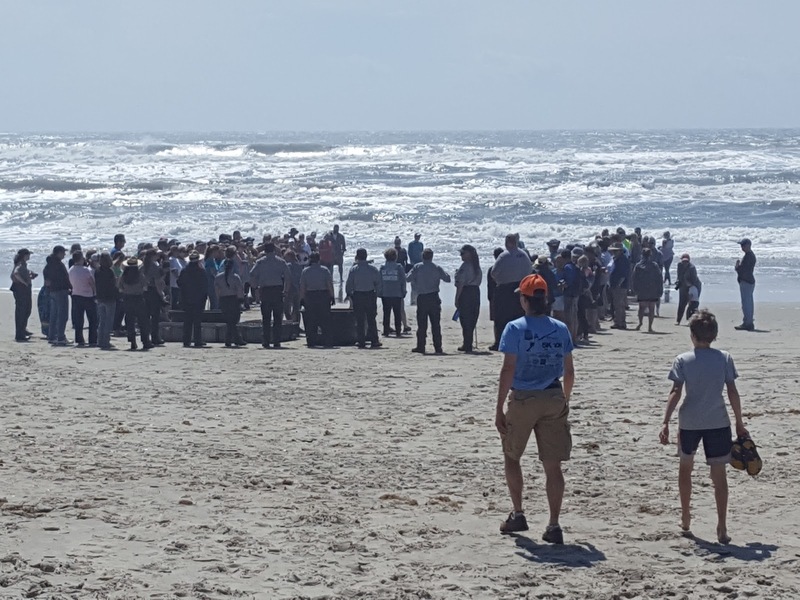 Our latest Ocracoke Newsletter is the story of Ocracoke Lodge No. 194, Independent Order of Odd Fellows. After dissolution of the Lodge in 1924, the building (built in 1901) was converted to a private residence, then a coffee shop, and eventually became the center section of the Island Inn and Restaurant. I was recently reading a short article from 1968 that refers to commerce in North Carolina in the nineteenth century. The author writes, "the Ocracoke Harbor was a busy one, with ships constantly plying between northern cities and New Bern." Early records of sailing ships along the Outer Banks frequently mention putting in to "harbor" at Ocracoke. Modern day readers usually envision large sailing vessels lying at anchor in Silver Lake. This is a mistake, as the above mentioned author explains in a footnote: "Above, where it talks about all the ships coming and going through Ocraacoke harbor, it does not mean in the present day Silver Lake. The larger freight boats, schooners and steam boats stayed out in the Pamlico Sound, Teach's channel or Teach's hole. 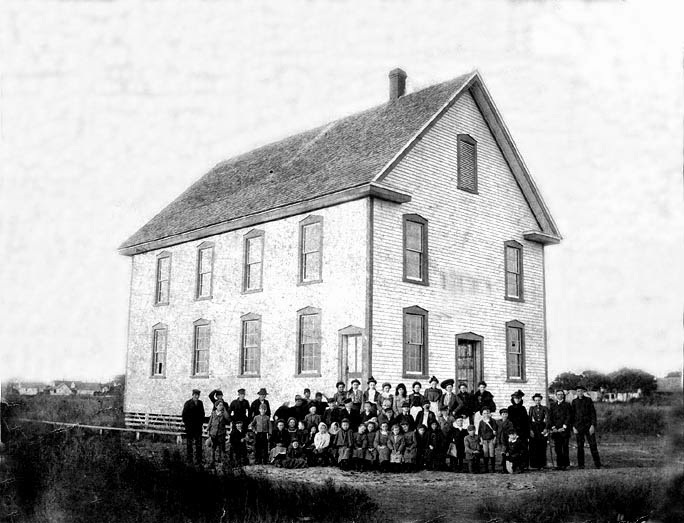 Silver Lake in those years was called Cockle Creek and only four feet deep in the center until the 1930s." 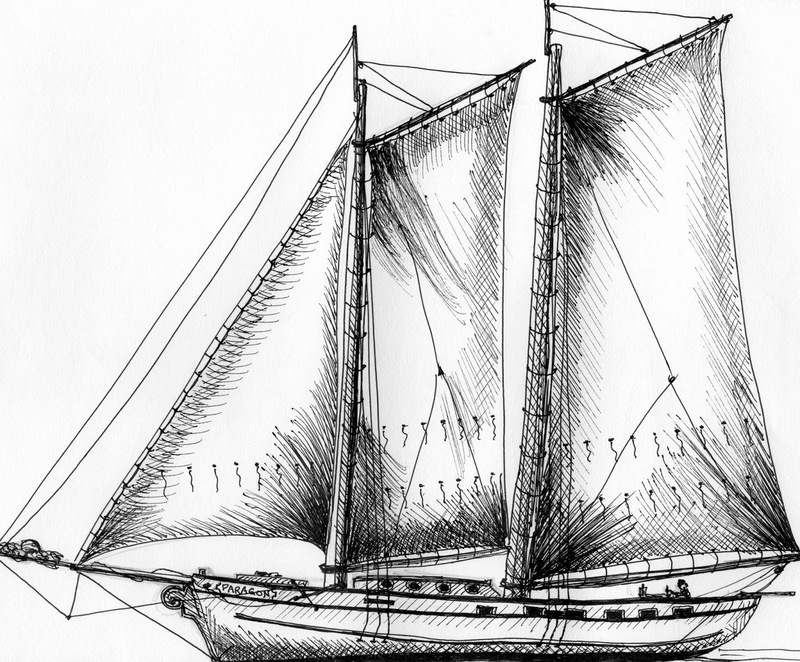 A yawl is a two-masted fore-and-aft-rigged sailboat with the mizzenmast stepped far aft so that the mizzen boom overhangs the stern. 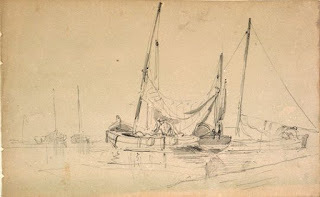 Here is a drawing of two 18th century yawl-rigged fishing vessels. In 1939 Isaac (Big Ike) O"Neal (1865-1954) had this to say about his childhood and growing up on Ocracoke Island and Pamlico Sound: "I declare, I don't know why a lot of us weren't drowned in those days. About the only boats we had were yawls, the small boats we picked up from ships that were wrecked on the island. We'd beat around the sounds in these little boats in all kinds of weather. Nothing unusual to be away from home for a week or two weeks at a time." I published the following four paragraphs several years ago, and think they are worth sharing again! Some of our readers may remember the red gypsy wagon that was parked beside the Village Craftsmen for a number of years. I built it in the mid-1980s on the chassis of a Ford pickup truck. About five years ago it had deteriorated so much that I had it dismantled. About twenty years ago three "hippy" college students (a young man and two young ladies) knocked on the front door of the Village Craftsmen, and shyly asked if they could pitch their tent in our yard for one night. I offered them the gypsy wagon. They were delighted with the accommodations, and invited me to share their dinner of local fish and fresh vegetables, so we spent an enjoyable evening together. During the course of our conversation one of the young ladies shared this wisdom from her grandfather: "Remember to always live your life so you have stories to tell your grandchildren," she admonished. After a brief pause she added, "And always live your life so you live long enough to have grandchildren!" 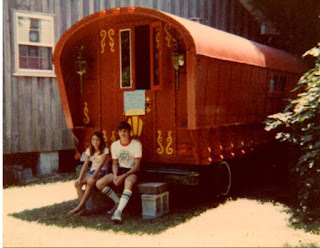 I hope those three college kids who spent one night in a gypsy wagon on Ocracoke Island will share their stories with their grandchildren. In The Story of Ocracoke Island, the authors write that "It is difficult today for those who know the peaceful somnolence of Ocracoke to picture the events of [the] Revolutionary days.... The part played by Occacock Inlet in the Revolutionary War was vital indeed to the armies of General Washington." They go on to recount the events of April 14-17, 1776, when "the vessel Polly, which, when bound on a voyage from Edenton to Madiera, was captured...by one John Goodrich, commanding his Majesty's Ship Lilly...."
John Goodrich and his son, William, had earlier conspired to aid the Virginia Committee of Safety by procuring gunpowder from the West Indies for the patriots. After capture and "re-education" the Goodriches were convinced to affirm loyalty to the Crown. Captain Goodrich subsequently acquired command of the armed sloop Lilly and, on April 14 captured, and claimed as his prize, the patriots' merchant schooner Polly as it was sailing through Ocracoke Inlet. On the same day her Majesty's armed sloop, Fincastle, under command of the privateer, Lt. Wright, captured and plundered the Lilly. Three days later, on April 17, five whaleboats full of armed Ocracoke Inlet pilots boarded the Lilly's tender. They captured the Lilly along with Capt. Goodrich and his crew. Goodrich was taken as prisoner to Charlottesville, Virginia, where he remained for at least eighteen months. The recaptured vessels were sent to New Bern and used by the revolutionaries as tenders for two North Carolina Navy brigantines. You can read more here: http://www.carolana.com/NC/Revolution/revolution_ocracoke_inlet_1.html. 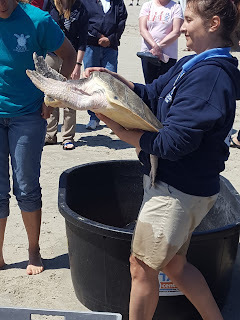 In March, 2012, we published an Ocracoke Newsletter about the Rondthalers of Ocracoke Island. Theodore and Alice Rondthaler were teachers at the Ocracoke School for fourteen years, beginning in the late 1940s. 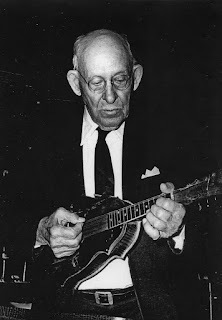 Theodore, (1899-1966) was the son of Rev. Howard Edward Rondthaler (1871-1956), a distinguished Moravian pastor who later served as president of Salem College, and still later was consecrated bishop of the Southern Moravian Province. Rev. Rondthaler was married to Katherine Boring, a Philadelphia Quaker. In 2016 Molly Grogan Rawls wrote an article, "Four Generations of Rondthaler Men," for the Winston-Salem Time Traveler. Rawls notes that Theodore was born in Forsyth County, and after considering several possible career choices, decided to become a teacher. In 1927 he married his father’s secretary, Alice Keeney. Before moving to Ocracoke, Theodore was a school principal in Forsyth County and Alice worked as a teacher. Theodore was also a musician and an outdoorsman. Muzel Bryant (1904-2008) was the last member of Ocracoke's historic black family to live on the island. 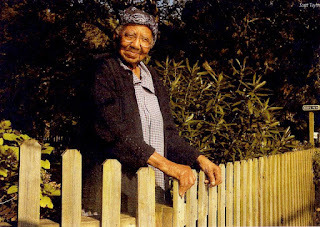 Muzel's grandmother Winnie Blount was born into slavery. She came from near Washington, NC, with her husband Harkus to live on Ocracoke after the slaves were freed. Harkus was a carpenter and boat builder, and the couple managed to acquire land along the lighthouse road. They had two daughters, Jane and Annie Laura. Jane eventually met and married Leonard Bryant from Engelhard while she and Winnie were working at the old Doxsee Clam Factory, which was located near the entrance to the harbor. Annie Laura also lived on the island with her husband, but they moved to the mainland soon after their little boy fell off the back porch into the water barrel and drowned. Muzel was one of Jane and Leonard's nine children. You can read multiple articles about Muzel and her family by clicking here. For many years, back in the late 1960s and 1970s, a life car was sitting on a platform at the side of a building on the corner of Creek Road and Silver Lake Drive. It was used as a water cistern. The life car was eventually donated to the Ocracoke Preservation Society and sent away for restoration. Unfortunately, the metal was so badly compromised that it was never restored. If you remember (or have a photograph of) the life car cistern, please leave a comment. In 1934 Ocracoke native Lloyd Fulcher was working in New York City as captain of the Binghamton, a steam-powered double-ended ferryboat serving New York Harbor. Built in 1904/1905 the Binghamton operated from the Hoboken Terminal to Barclay Street, a twelve-minute trip of approximately 1 and 3/4 miles. According to Wikipedia, the Binghamton was initially built for the Delaware, Lackawanna & Western Railroad’s Hoboken Ferry Company to transport 986 passengers along with their vehicles, and she was perhaps the last surviving steam ferry built to serve New York Harbor. "Four persons were injured and 600 commuters were shaken up today when the crowded Lackawanna ferryboat Binghamton crashed into its slip in the lower Hudson today. Capt. Lloyd Fulcher gave the usual orders to reverse the engines as the ferryboat entered the slip, but there was no response. It is believed there was an accident to the vessel's crankshaft. Those injured were: Margaret Fitzgibbons, 20, of Jersey City; H. A. Harter, 25, of West Orange; James Johnson, 31, of Summit; Anna Lee 20, of Newark." 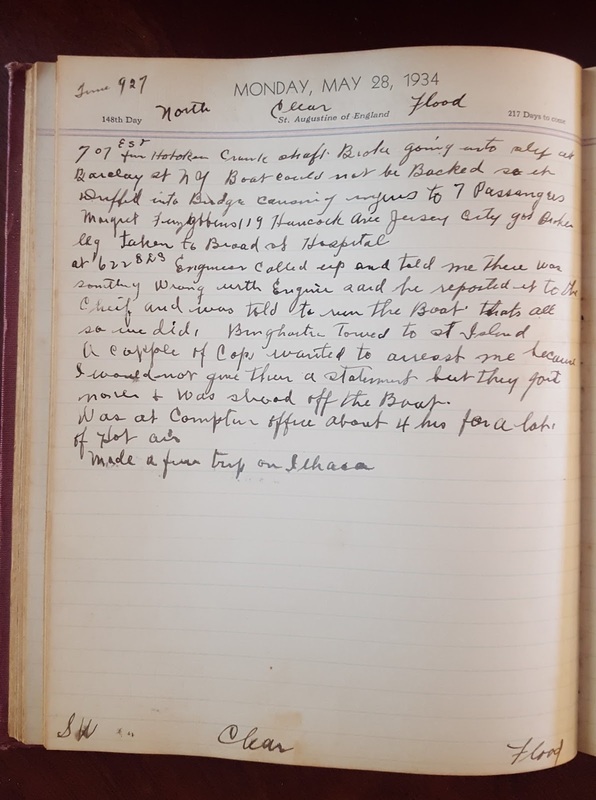 Lloyd Fulcher's nephew, Chester Lynn, loaned me his uncle's diary from 1934. "7:07 EST from Hoboken. Crank shaft Broke going into slip at Barclay St NY. Boat could not be Backed so it Drifted into Bridge causing injuries to 7 Passengers. Margaret Fitzgibbons, 119 Hancock Ave, Jersey City got Broken leg. Taken to Broad St Hospital. "Engineer called up and told me there was something Wrong with Engine. Said he reported it to the Chief and was told to run the Boat. That's all, so we did. Binghamton towed to St. Island. A cuppole [couple] of Cops wanted to arresst [sic] me because I would not give them a statement but they got none & was shoad [showed] off the Boat. "Was at Compton's office about 4 hrs for a lot of Hot air. "Made a ferry trip on Ithaca." In 2017 the Binghamton, which sank at the dock years after being converted to a restaurant, was demolished. You can read more here and here. The Beaufort News, Beaufort, N. C. on Thursday, Aug. 21, 1941, published an article by Aycock Brown titled "Many Proud Old Ships Lie Buried Beneath The Sands Of Ocracoke Island." Brown wrote, "To the visitor going to Ocracoke for the first time, the island is a very strange place. It is a land of dead live oaks, tame wild geese and fresh salt mullet. It is also a place where the finest people in the world make their homes. On the beach are the remnants of proud old ships which were lost in the graveyard of the Atlantic and came ashore in the backwash of tides swirling through Hatteras Bight. Ocracoke, like Hatteras Island, the "Cape Stormy" of the Atlantic Coast, is wind swept and storm swept, but so far there is no record of anyone ever losing their lives there during a hurricane, and no house has ever been blown down by the winds. It is true that a few houses have been undermined and washed down during severe gales which brought sea tides across the village but these cases have been very few indeed. The people of Ocracoke are proud of their ancestry. They know that they are descendants, perhaps, of ship wrecked mariners but they are proud of this whether their ancestor was of Anglo Saxon or Arabian stock. Ocracoke probably had its founding as a result of a ship wreck, and this is a story about some of the ships." You can read the entire article here: http://newspapers.digitalnc.org/lccn/sn91068210/1941-08-21/ed-1/seq-14/. As the spring and summer seasons approach it is common to see pleasure yachts and sailboats in Silver Lake harbor. This was not always the case. 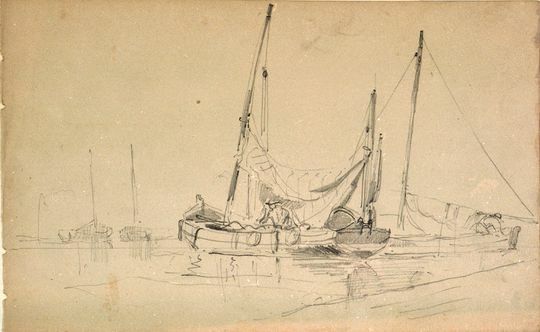 Although commercial schooners and other sail boats used Ocracoke Inlet for several hundred years (in 1840 alone, at least 1400 sailing vessels passed through the inlet), it was unusual for pleasure craft to visit the island. In fact, Silver Lake (originally called Cockle Creek) was just a wide, shallow tidal creek until it was dredged in the 1930s, and again during WWII. "Dr. and Mrs. W.H. Willis, Jr. and daughter, Nancy, were here recently on their yacht with guests, Dr. and Mrs. James and Belle Parker, also of New Bern. They fished with Capt. J.N. Midgett, coming in with fifty trout, and four channel bass." On this date in 1856 the bark* Mary Varney wrecked and broke apart off shore of Hatteras Island. Although one sailor lost his life in the disaster, legend has it that another crew member made it to shore in an unusual fashion, and never left. According to one version of the story, the people of Hatteras Island had been suffering that winter from a prolonged period of bitter cold and lack of supplies from the mainland. Shipwrecks, as tragic as they were, often brought much needed supplies (lumber, food, and more) to the bleak shores of the Outer Banks. 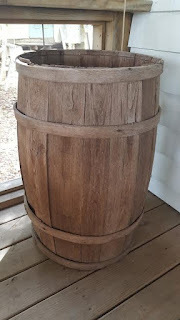 In April, 1856, one local preacher even prayed, were a shipwreck to happen (and God forbid it would) that a barrel of pork would wash up on the beach to help feed his hungry flock. As it happened, when the Mary Varney broke apart the people on shore saw a large pork barrel washing in from the stricken vessel, tossed about by the heavy seas. It looked like the preacher's prayer had been answered! A crowd gathered around as the barrel rolled in on a breaker, and crashed against the sandy beach. Almost immediately the top popped off. 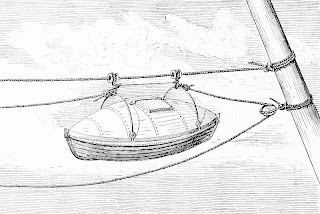 To their amazement, Herbert Oden, one of the sailors on board the Mary Varney, climbed out of the barrel. 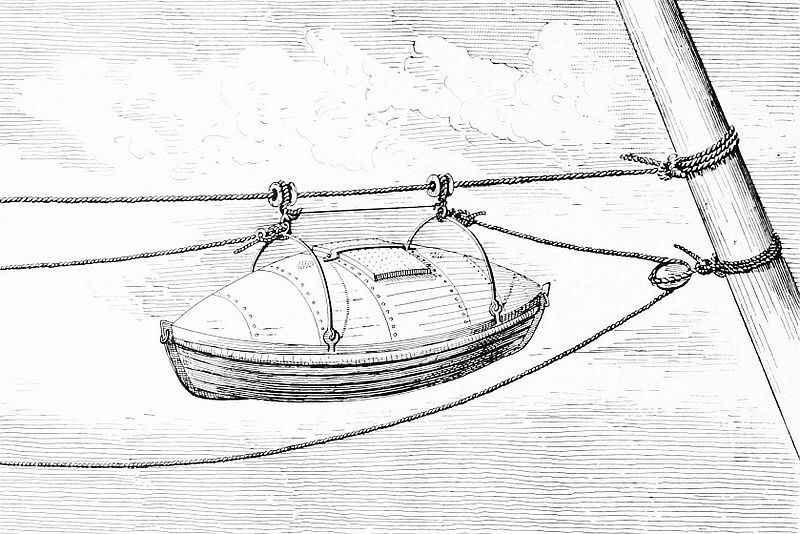 As the ship began to break apart, Oden had emptied the barrel, and climbed in, using it as a makeshift lifeboat. Some claim Herbert Oden was the first of his family to arrive on the Outer Banks. 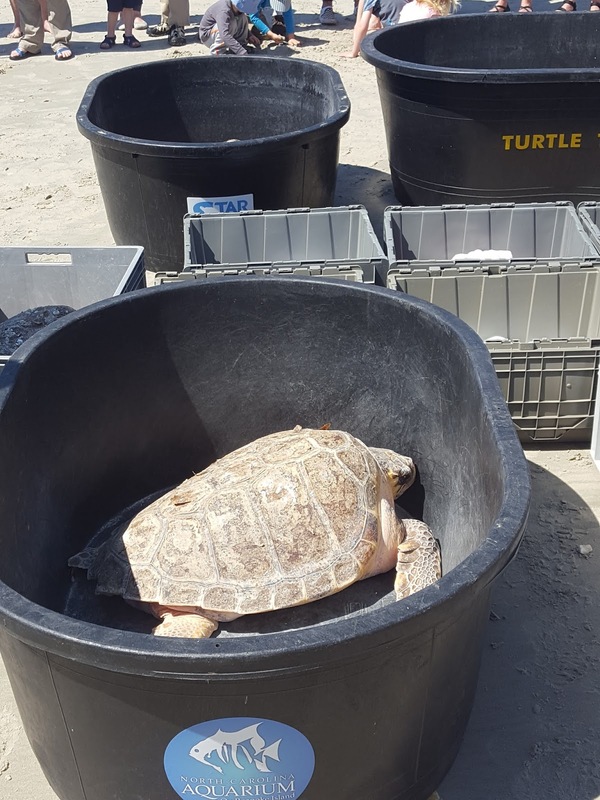 He never left, and the Oden clan continues to call Hatteras Island home! * A bark is a sailing ship of three or more masts with the aftmost mast fore-and-aft rigged and the others square-rigged. Island historian, Earl O'Neal (), explained in 1998 that "[s]everal maps between 1826 and 1830 show the Village of Ocracoke with the name Pilot Town. 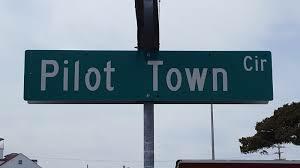 As early as 1743 there was a settlement on Ocracoke called Pilot Town, which was named that because the only settlers were pilots, who were squatters, not owning the land they lived on." Pilot Town is believed to have been located at Springer's Point. Ship pilots guided vessels safely through the inlet, and into the deeper waters of Pamlico Sound. They were an important factor in the commercial vitality of the colony (and later, state) of North Carolina. 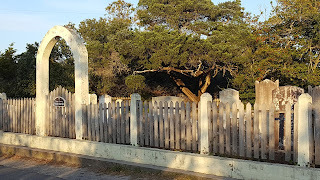 Yesterday I wrote about Richard Dobbs Spaight (1758-1802), a prominent North Carolina public figure who advocated for the construction of a fort on Beacon Island in Ocracoke Inlet. In 1802, after a bitter public feud with attorney and political rival John Stanly (1774-1834), Spaight agreed to meet Stanly for a duel to settle their disagreements. On September 5, 1802, on the fourth round of the duel, Spaight was shot in the side, and died the next day. "... Not until the massive social and cultural changes of the Civil War era did dueling truly die in the South." In 1801 Richard Dobbs Spaight (1758–1802) of New Bern, NC, wrote a letter to President Thomas Jefferson which highlighted the importance of Ocracoke Inlet. Spaight was a member of the Continental Congress from 1783 to 1785, a delegate to the federal Constitutional Convention in 1787, and governor of North Carolina from 1792 to 1795. In 1798 he won a special election to fill the congressional seat vacated by the death of his predecessor, Nathan Bryan. Washington City 4 March 1801. When Congress first began to fortify the ports & Harbours of the United States in 1794, among others a fort was directed to be erected on Beacon Island near Ocracock bar, to defend that Inlet. An Engineer was sent forward, who laid off the fort and the works were commenced, & carried on untill November following. From the neglect of the then Secretary of War … nothing was done. In 1796 … the works were discontinued & remained so untill I took my seat in Congress in Decr. 1798…. All the trade of No. Carolina except what is carried on at Wilmington, and a little at Beaufort & Swannsborough, passes over Ocracock bar: and the fort at Beacon Island command both Harbours, or, roads, where the shipping bound either in, or out come too in order to lighten, to enable them to pass the swash. It likewise commands both the passages that lead from the harbours or roads, up into the Country. I could venture to say to a Certainty that the revenue saved to the United States, in consequence of a fort being built, and a surveyor established there will fully eaqual the Annual expenditure, occasioned by the Establishment, and in my Opinion, will in the course of ten or a Dozen years repay the United States the monies which the works will cost. I have thus agreeably to your desire thrown my Ideas on this subject in a hasty manner on paper, and I make no doubt but that an Object of such magnitude, will receive due attention from The administration. With Sentiments of Consideration & Respect I am Sir, Your most Obt. 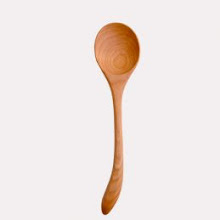 Sevt. Construction of a fort at Beacon Island was not resumed during Thomas Jefferson’s administration. In 1806 Henry Dearborn (builder of the first lighthouse at Cape Hatteras and the first lighthouse on Shell Castle in Ocracoke Inlet) reported that gunboats would more effectively protect Ocracoke Inlet than a fixed fortification.